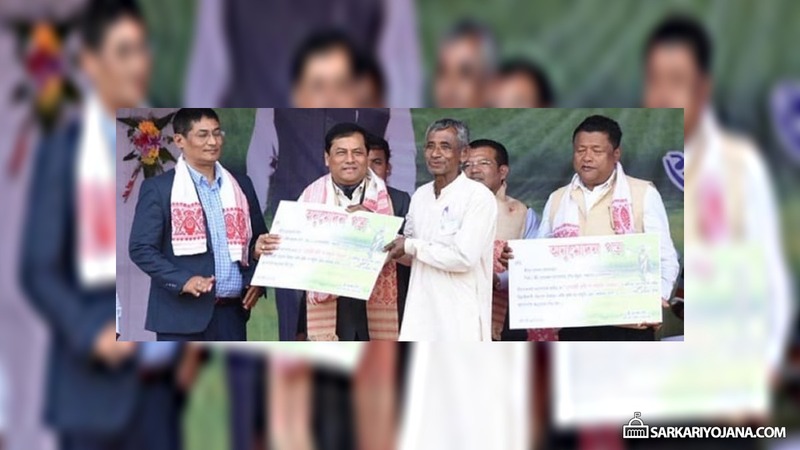 Assam government has launched Mukhya Mantri Krishi Sa-Sajuli Yojana for farmers on 11 February 2019. This Chief Minister Farm Tool Scheme has been launched in the backward district of Dhemaji by the acting CM Sarbananda Sonowal in Assam. The main purpose of launching this scheme for farmers is their holistic development by implementing several farm mechanization schemes. The state govt. of Assam is making every possible effort through CM Farm Tool Scheme to ensure the economic growth of rural farmers. Assam govt. will support 28 lakh farm families of the state and the state govt. has earmarked Rs. 33 crore for this scheme. The current NDA led govt. will provide opportunity for subsidized agriculture loan for poor farmers. Assam CM has launched Mukhya Mantri Krishi Sa-Sajuli Yojana (CM Farm Tool Scheme) for farmers at Dhemaji stadium. The state govt. has given its topmost priority to economic development of rural farmers through implementation of various farm mechanization schemes. All the selected farmer beneficiaries would be given Rs. 5,000 grants through direct benefit transfer (DBT) into the bank accounts of farmers. CM has handed approval letters to 10 selected farmers on the occasion to mark the official launch of the CM Farm Tool Scheme. The state govt. of Assam has initiated the financial aid scheme as the rural farmers survive on their hard wok and honest income and often face financial hardships because of natural calamities. CM urges all the farmers to send their educated children to get free training in the govt. run skill training centers and build their career in the future. Assam govt. has setup around 240 Skill Development Centers under Assam Skill Development Mission. The state govt. will provide regular vocational training to educated unemployed youths. Moreover, CM has also given assurance to provide necessary funds to the tribal councils to achieve development activities in their respective areas.